Renowned comic book artist and writer Steve Ditko, co-creator of Spider-Man and Doctor Strange, died late June aged 90. His death was first reported July 6. In his decades-long career, Ditko co-created some of the most enduring and recognizable comic book characters for Marvel Comics, including many of Spider-Man’s classic rogues gallery and supporting cast. After co-creating Spider-Man with Stan Lee in the pages of Amazing Fantasy #15 and spinning the hit character off into his own book, Ditko served a three-year tenure on The Amazing Spider-Man until issue #38 in 1966. Also in 1963 — the same year Marvel Comics launched Amazing Spider-Man — Ditko conjured into existence the mystical Doctor Stephen Strange in the pages of Strange Tales #110, a book he would stay with until his split with Marvel in 1966. His time with the House of Ideas further saw Ditko pencil many stories featuring the Hulk, who Lee had co-created with Jack Kirby in 1962. Ditko drew the character in several issues of the shared Tales to Astonish, when the Hulk co-headlined the book with fellow Avengers founding member Giant-Man. One of Ditko’s lesser-known creations — Doreen Green, a.k.a. 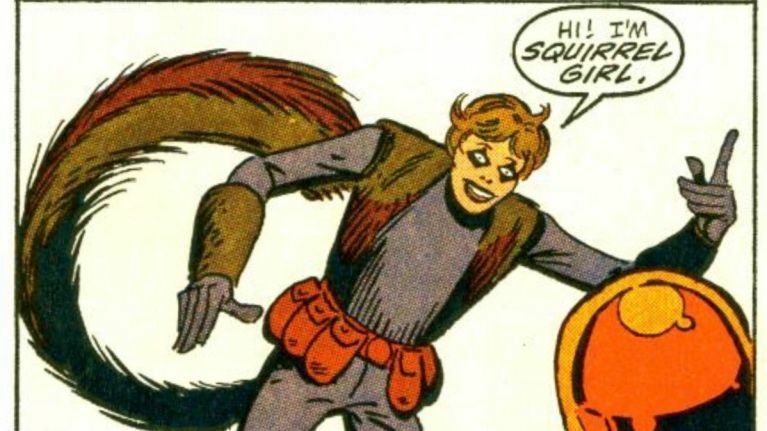 the unbeatable Squirrel Girl — made her debut alongside squirrel sidekick Monkey Joe in the pages of the Marvel Super-Heroes Winter Special in 1991. The teenaged super-teen famously helped Iron Man defeat Doctor Doom before affiliating herself with the Great Lakes Avengers before going on to become the nanny for the child of Luke Cage and Jessica Jones. She has since become a member of the U.S.Avengers and is set to make her live-action debut in Marvel-Freeform series New Warriors. 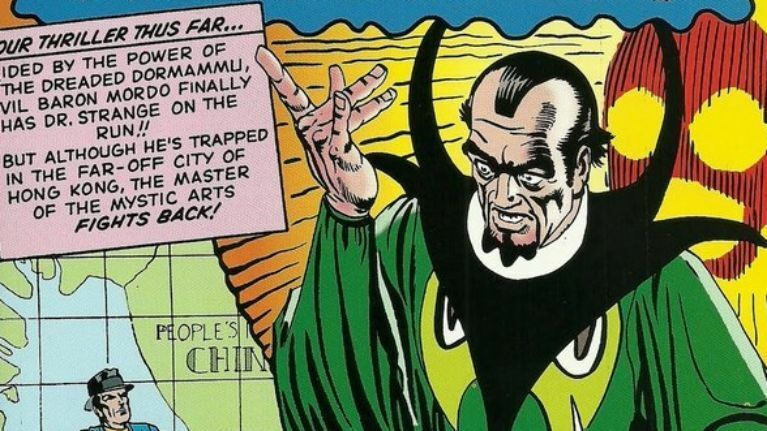 Initially depicted as Dr. Strange’s manservant, Wong has since been reimagined as a worthy sorcerer in his own right after debuting alongside Earth’s Sorcerer Supreme in Strange Tales #110. The sorcerer has proved a fan-favorite supporting player in the Marvel Cinematic Universe, appearing in Marvel Studios hits Doctor Strange and Avengers: Infinity War, where he’s portrayed by actor Benedict Wong. Doctor Strange’s arch enemy, Karl Mordo, first appeared in “Face-to-Face with the Magic of Baron Mordo” in Strange Tales #111. The villainous magic-wielder attempted to poison Strange’s mentor, the Ancient One, and would go on to become Strange’s most recurring enemy. He would come to serve the dreaded Dormammu, Lord of the Dark Dimension, an ancient and powerful inter-dimensional conqueror. Dormammu and Mordo (Chiwetel Ejiofor) were included in Doctor Strange, as was another Ditko co-creation, zealot Kaecilius (Mads Mikkelsen). Samuel Sterns, better known as the green-skinned and big-brained Leader, first menaced the Hulk in Tales to Astonish #62 when he hired the Chameleon — Spider-Man’s first costumed foe — to investigate a missing spy. Granted super-genius intelligence and telepathic abilities after he was bathed in gamma radiation, the Leader emerged as one of the Hulk’s primary enemies — pitting brain against brawn. Gwen Stacy first appeared near the end of Ditko’s Amazing Spider-Man run, introduced as one of Peter Parker’s classmates at Empire State University. After first mistaking Peter as anti-social — he was preoccupied with his Aunt May’s recurring health problems and his duties as Spider-Man — the pair eventually entered into a romantic relationship. Gwen would emerge as the first true love of Peter Parker’s life after romances with other Ditko co-creations Liz Allan and Betty Brant ended in tatters. Gwen appeared as part of a love triangle in Spider-Man 3 (played by Bryce Dallas Howard) and was Peter’s sole love interest in the rebooted Amazing Spider-Man two-movie series. The character is expected to make her Marvel Cinematic Universe debut in Spider-Man: Far From Home after leaked audition tapes pointed towards Gwen’s inclusion. 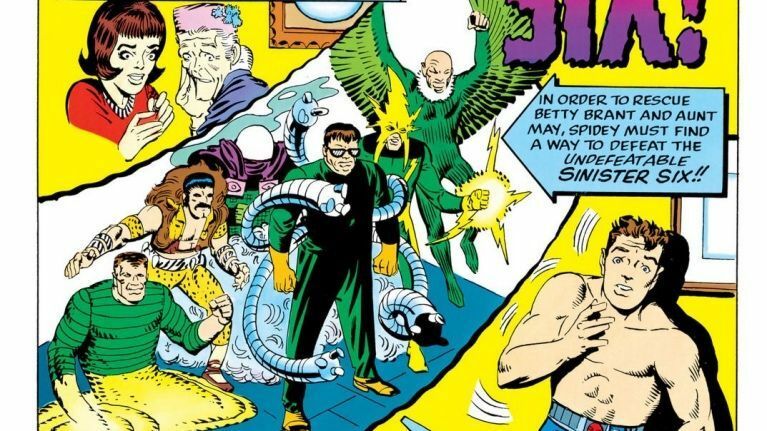 Consisting of Spider-Man’s deadliest foes, the Sinister Six has featured an ever-changing roster since the villains first assembled in Amazing Spider-Man Annual #1. The greatest group of villains ever assembled, Spider-Man faced his then-biggest challenge of his career when Doctor Octopus united Mysterio, the Vulture, Sandman, Kraven the Hunter, and Electro — at a time when Spider-Man had suffered the loss of his amazing spider-like abilities. That short-lived iteration of the pack of super-villains gave way to the team reforming multiple times, eventually counting other recurring Spidey foes Rhino, Shocker, Hobgoblin, the Lizard, Venom, and more among its members. 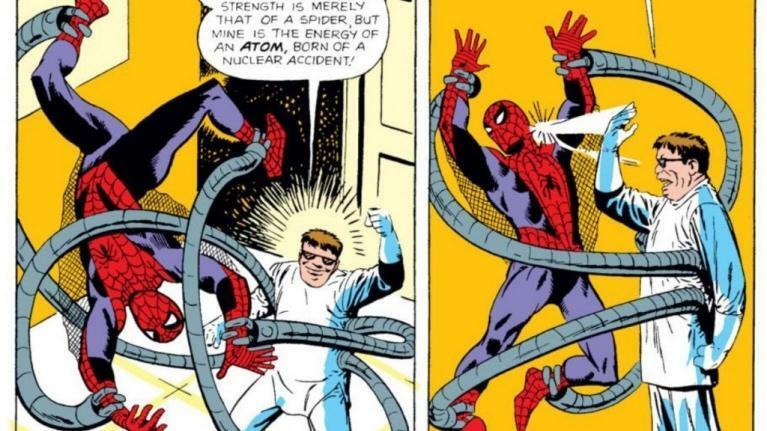 Doctor Otto Octavius, transformed into the villainous Doc Ock in The Amazing Spider-Man #3, has long been among the webhead’s most famous foes. The tentacled super-genius was Spider-Man’s most persistent enemy during Ditko’s run, preceding the Green Goblin as Spider-Man’s archenemy. The multi-limbed character was the starring villain in 2004’s Spider-Man 2, where he was played by Alfred Molina. 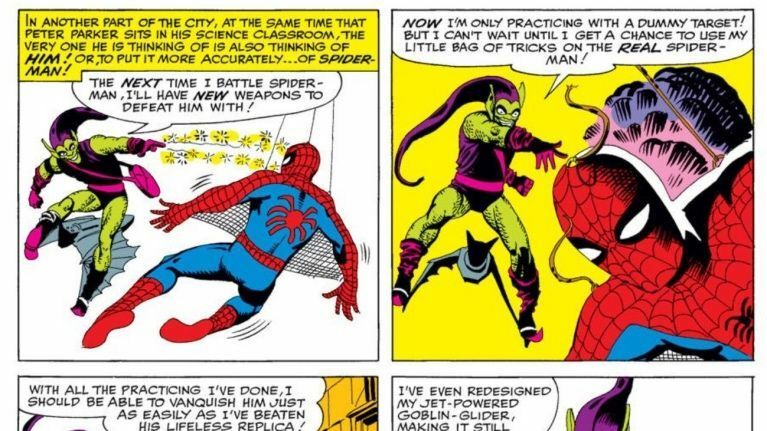 No villain has had more of a mark on Peter Parker and Spider-Man than Norman Osborn, the Green Goblin. The pumpkin-tossing maniac first terrorized Spider-Man in the pages of Amazing Spider-Man #14, with his secret identity first appearing in Amazing Spider-Man #23. In its early years, the character’s true identity was the biggest mystery of the series: Norman Osborn, father of Peter’s classmate and friend Harry Osborn, would not be revealed as the villain until Amazing Spider-Man #39 — the first issue drawn by John Romita Sr., who had replaced Ditko as series artist. Ditko departed the book as of issue #38 after repeated clashes with Lee. 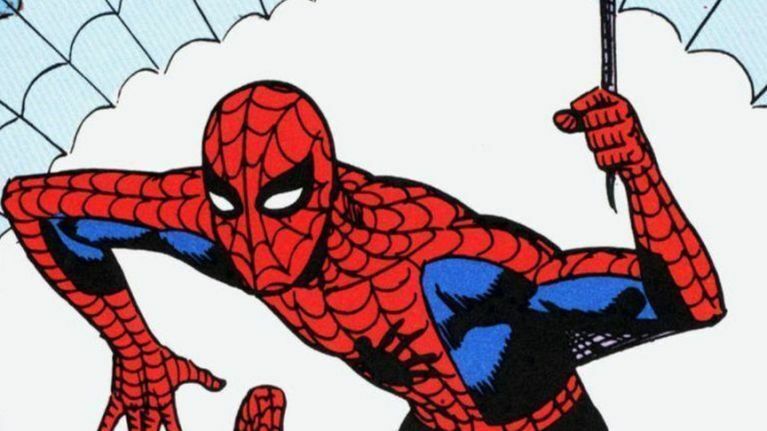 The pair of creators experienced a schism over the Goblin’s true identity — Lee argued it was more dramatic to have his identity be known to Peter Parker, while Ditko lobbied for it to be a stranger — and their partnership on the book had come to an end after establishing much of the Spider-Man iconography and mythos that persists today. The character served as the villain in 2002’s Spider-Man, played by Willem Dafoe, and again in The Amazing Spider-Man 2, where Chris Cooper played a doomed Norman Osborn and Dane DeHaan took on the mantle of the Green Goblin as a desperate and twisted Harry Osborn. Psychedelic superhero Doctor Strange emerged as one of Marvel’s popular creations birthed out of the trippy 1960s, with Ditko responsible for much of the surrealism found in the pages of Strange Tales. It would be fitting that Ditko’s most famous and prized co-creations would team frequently, establishing an alliance that would persist into the modern day. 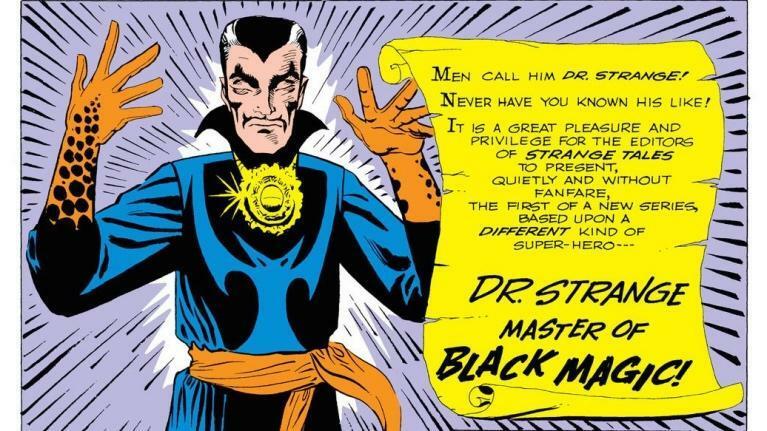 In his time with the Sorcerer Supreme, Ditko brought to life such hallmark Doctor Strange supporting players and enemies as lover Clea, closest friend Wong, wise mentor the Ancient One, and vicious enemies Karl Mordo, Dormammu, and Nightmare, as well as the all-seeing Eternity. The character is more popular than ever after his introduction to the Marvel Cinematic Universe in Doctor Strange, where he’s portrayed by Benedict Cumberbatch. The sorcerer assisted Thor (Chris Hemsworth) in Thor: Ragnarok before appearing for a third time in Avengers: Infinity War, where he played a pivotal role. Cumberbatch will return in Avengers 4 and is expected to again star in a future Doctor Strange 2. One of the most famous and beloved characters in history, the amazing, spectacular, web-slinging Spider-Man has endured as Marvel Comics’ flagship character since his creation by Lee and Ditko in 1962. In addition to penciling Spider-Man’s foes and adventures in tandem with Lee, Ditko was responsible for crafting the teen superhero’s unmistakable red and blue costume, his trademark web-shooters, and his classic spider-signal. Ditko brought to life a dynamic supporting cast in Aunt May, Ben Parker, Flash Thompson, J. Jonah Jameson, Gwen Stacy, Liz Allan, and Betty Brant, all characters who continue to be major aspects of the Spider-Man brand across decades of varied media, from comic books to cartoons to video games to live-action movies — movies that have webbed up nearly $5 billion worldwide since 2002.